Last week, as the UNC Board of Governors became entirely Republican for the first time in history, N.C. Senate leader Phil Berger dismissed concerns about diversity on the board. “There’s a lot of diversity amongst Republicans,” Berger said. Even some members of the board of governors, it seems, find that hard to swallow. As Democratic lawmakers in Raleigh called for more political diversity in board nominations, several members of the board itself decided to highlight the lack of racial and gender diversity on the board and among boards of trustees across the UNC system. “I believe we should be sensitive and aware of the lack of women and the lack of minorities serving in these positions,” said board member Pearl Burris-Floyd during the full board meeting Friday at Appalachian State University. 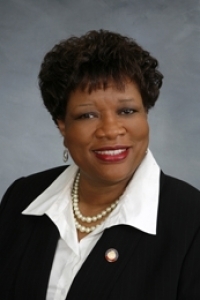 In addition to being a former Republican state representative, Burris-Floyd is also a Black woman. In comments to the board, she outlined just how rare she is among those serving on leadership boards at universities across the state. Seventy one percent of the nominees to UNC system boards of trustees were male in 2017, Burris-Floyd said. This year that number is 69 percent. The student population is 56 percent female, she said. “That may not seem like much, but when you look around this table and you see the sprinkling of women and minorities serving the Board of Governors, then 2 percent is a big push,” Burris-Floyd said. Still, she said, she would like to see the nominees better reflect the student body they serve. Board member Anna Spangler Nelson agreed on the need for improvement. “Some of our boards of trustees do not reflect the race and gender of their communities and I hope we will continue to pay attention to that,” she said. Last week’s appointment process wasn’t an improvement, in terms of diversity on the UNC Board of Governors itself. Twelve seats were up for appointment. The legislature reappointed 10 current board members in party-line votes. The one Black Democrat on the board was not reappointed. The two new appointments went to white Republican men.